Hey everyone, So as you all know from this blog post, I recently attended the #PassionPersistencePink event for Cocoa Brown by Marissa Carter in the Shelbourne Hotel in Dublin. 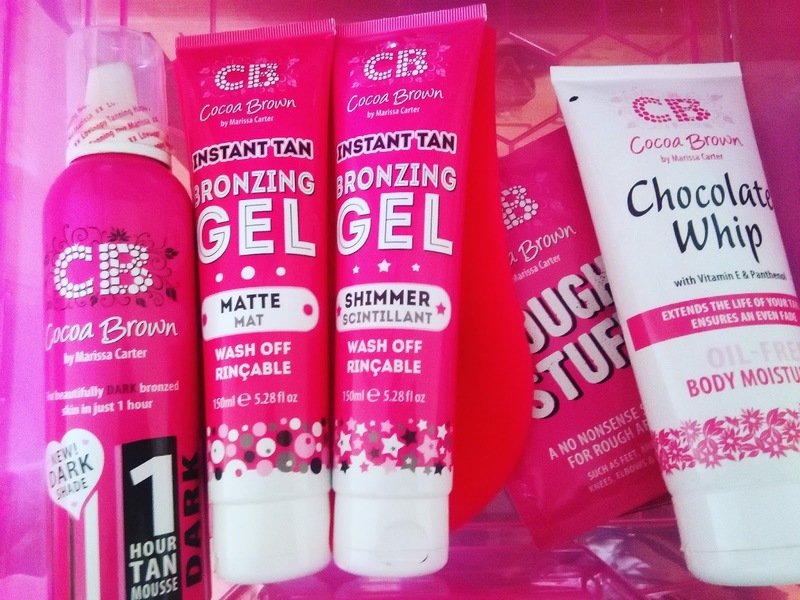 At the event the founder of Cocoa Brown Tan and the amazing Marissa Carter unveiled Cocoa Browns' new products, the Cocoa Brown Instant Bronzing Gels in Matte and Shimmer. 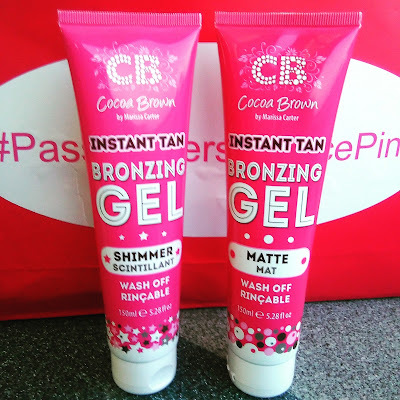 Like all Cocoa Brown products the Instant Bronzing Gels are scented with the signature Cocoa Brown Tahitian Gardenia scent so you don't get that normal fake tan smell. Along with all the other Cocoa Brown products the Instant Bronzing Gels are non-­comodengenic meaning they're safe to use on your face and won't give you breakouts. The formula of the gels is lightweight, non sticky and so easy to apply. It blends in well and gives you a beautiful natural glow. It dries almost instantly so it's a product that you need in your life in case you're ever in a rush but need a tan! These bronzing gels let you apply and get dressed within minutes. I applied the matte bronzing gel all over and then applied the shimmer bronzing gel to highlight my collarbones. The shimmer is so golden and sparkly but looks so natural when applied. The Instant Tan Bronzing Gels wash off easily in the shower so you don't need to scrub them off either. For best results exfoliate first using the Cocoa Brown Tough Stuff Body Scrub and then apply their Chocolate Whip body moisturiser to ensure that your skin is silky smooth and prepped for a gorgeous tan. You'll be able to buy the Cocoa Brown Instant Tan Bronzing Gels from Penney's stores as well as certain pharmacies around the country soon (they should be available in stores from this week). You can also buy them online from Cloud10Beauty for €6.99 each. Cloud10Beauty have just launched their #Cloud10PaintItPink campaign for the month of October so for any order placed with Cloud10Beauty in the month of October, no matter how small, Cloud10Beauty will donate €1 to the Irish Cancer Society. 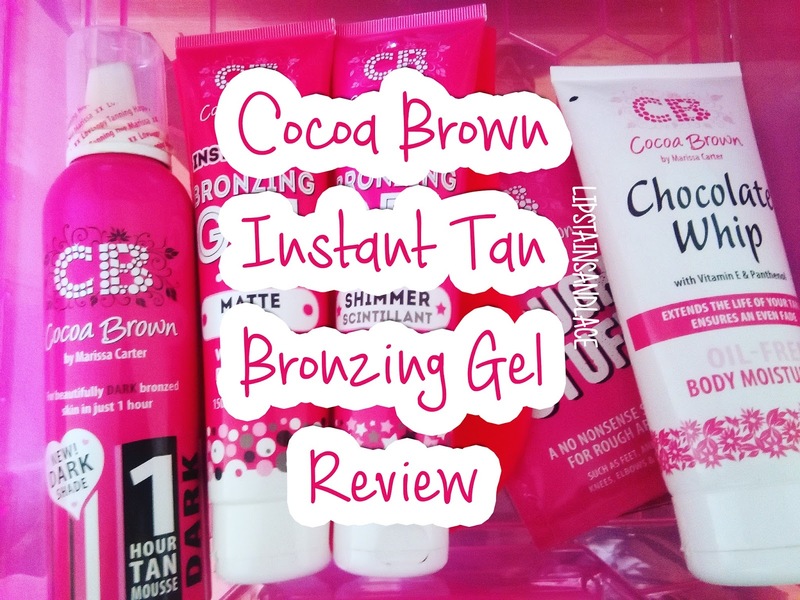 Marissa Carter and the Cocoa Brown team have done an amazing job with these two new products, the new Cocoa Brown Instant Tan Bronzing Gels get 10/10 from me and I'll definitely be repurchasing them for when I need a quick fake tan fix! Don't forget to keep an eye out for the Cocoa Brown Golden Goddess shimmering body oil that's launching at the end of next month too! I know I can't wait to get my hands on it! 👌 #CocoaBrown #GoldenGoddessOil launching end of November!